The analysis of adult-child conversation during story-reading indicated that a child, between 2 and 3 years, could learn the question-answer sequences, and preferred simple and small adjacency pairs. It was not until the fourth year that recognition of being accountable for a meaningful answer became evident. More interaction tragedies would be used in conversation by 3-year-old children, such as inter-expansion and direct other-repair in appropriate response to the adult’s request, which meant awareness of self-position and social asymmetry. According to context and non-minimal post-expansion, advanced answers were noted in a 4-year-olde child’s story-reading discourse. Concluding comments suggested that more competent talking patterns should be formulated to promote the development of children’s conversation skills. Ginzburg, J. and Kolliakou, D. (2009) Answers without questions: The emergence of fragments in child language. Journal of Linguistics, 45, 641-673. Ziv, M., Smadja, M.-L. and Aram, D. (2013) Mother’s mental-state discourse with preschoolers during storybook reading and wordless storybook telling. Early Childhood Research Quarterly, 28, 177-186. LaBounty, J., Wellman, H.M., Olson, S., Lagattuta, K. and Liu, D. (2008) Mothers’ and fathers’ use of internal state talk with their young children. Social Development, 17, 757-775. Sacks, H. (1992) Lectures on conversation. Blackwell, Oxford. Marcos, H. (1991) Reformulating requests at 18 months: Gestures, vocalizations and words. First Language, 11, 361- 375. Pan, B.A. and Snow, C.E. (1999) The development of conversation and discourse skills. Psychology Press, Hove. Slaughter, V., Perterson, C.C. and Mackintosh, E. (2007) Mind what mother says: Narrative input and theory of mind in typical children and those on the autism spectrum. Child Development, 78, 839-858. Curenton, S.M., Craig, M.J. and Flanigan, N. (2008) Use of de-contextualized talk-across story contexts: How oral storytelling and emergent reading can scaffold children’s development. 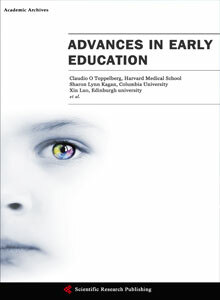 Early Education and Development, 19, 161- 187. 李月娥 (1996) 言语交际中的修正策略. 兵器工业出版社, 北京. 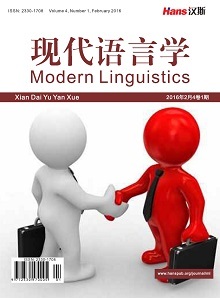 于国栋 (2015) 话轮构建成分的会话分析研究. 外国语, 1, 64-71. Gosen, M.N., Berenst, J. and de Glopper, K. (2013) The international structure of explanations during shared reading at kindergarten. 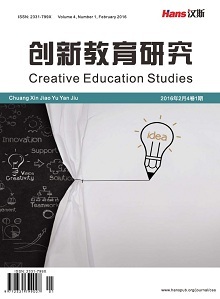 International Journal of Educational Research, 62, 62-74. Gerholm, T. (2011) Children’s development of facework practices—An emotional endeavor. Journal of Pragmatics, 43, 3099-3110. Tomasello, M. (2005) Constructing a language: A usage-based theory of language acquisition. Harvard University Press, Cambridge. Freed, A.F. and Ehrlich, S. (2010) Why do you ask? The function of questions in institutional discourse. Oxford University Press, New York.